This is the showstopping number from the dramatic Broadway mega-hit Rent. This edition is based on the Stevie Wonder pop version included on the cast recording. Great choral writing and a fantastic lyric message. 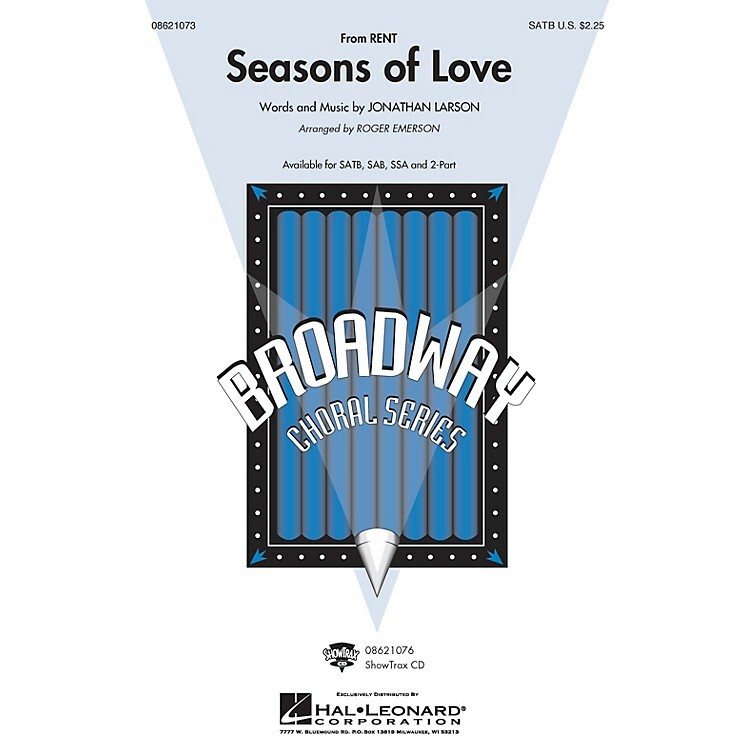 Available: SATB, SAB, SSA, 2-Part, ShowTrax CD. Performance Time: Approx. 2:30.